Once again, the charming devs of Turbine’s Lord of the Rings Online have invited me to one of their press events, to debut the upcoming additions to the game in Update 14. 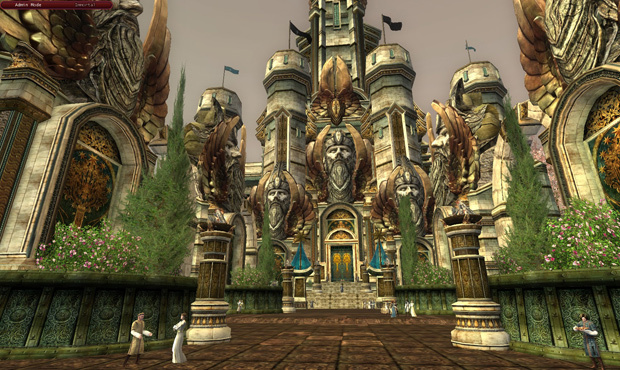 This is an official continuation of the game’s famously involved main storyline quest, which tracks the progress of the story in the Lord of the Rings trilogy. As of this update, we’re well into the Return of the King, and the dark lord Sauron is becoming a major player in the events of Middle Earth. 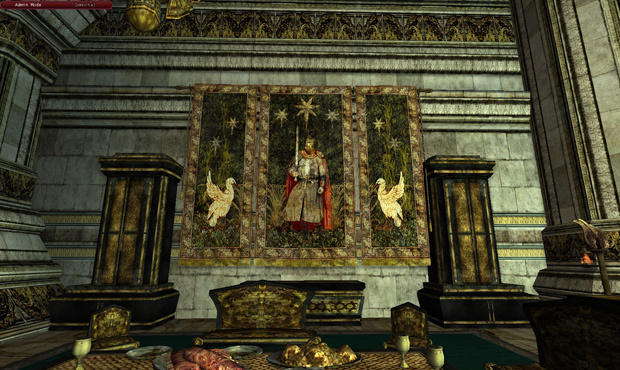 No more wandering around in Angmar and dealing with little fish – the main event is about to begin. To that end, the developers have been working hard on designing an entirely new region for exploration – one that has been anticipated since the game first began almost a decade ago. It’s been a long journey, and Lord of the Rings is a venerable title whose dedication to storytelling and immersion have seen it through thick and thin. 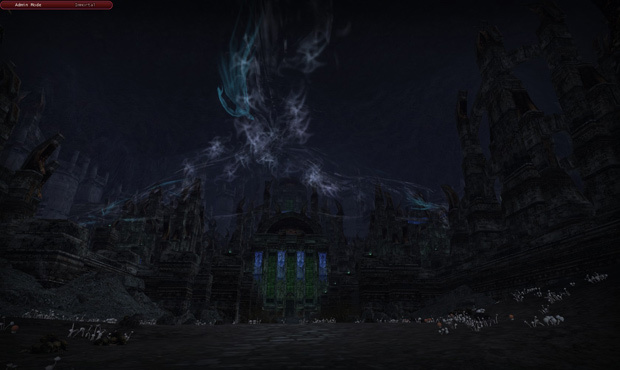 The community is loyal and growing, and with the addition of Volume 4, The Strength of Sauron, things will truly be getting epic for long-time LOTRO fans. Of course, all of this is said with the assumption that the reader is somewhat familiar with the Lord of the Rings mythos and storyline – if you’re not, well, then this is probably going to be a confusing article! Given the game is primarily focused on storytelling and capturing the feel of the novels for fans of Tolkien’s work, it’s highly unlikely you’d be interested in the game in the first place. So, onward and upward, then. Let’s see where we’re at. As of this update, Aragorn will have already traveled through the Paths of the Dead, and convinced the ghostly oathbreakers there to fulfill their ancient obligation to fight Sauron, and thus free themselves from the curse that keeps them bound to the world. Of course, players can’t travel with him on this endeavor, because the books never mentioned anything like “a million blinged-out randos accompanied Aragorn on this dark trod.” Unfortunately, you’re going to have to explore the paths alone. It’s a fun zone, with both solo and fellowship versions, and the developers thought long and hard on how to portray it. They decided not every oathbreaker followed Aragorn – some didn’t believe he could help them, others were simply too far gone. So what’s left in these caves are the most wretched of all the undead, and of course, it’ll be up to the players to deal with them. 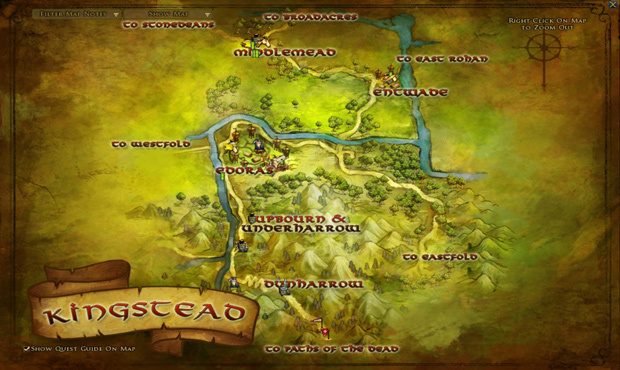 After this adventure, players will have the opportunity to, at long last, set foot in the land of Gondor. Gondor is a green, vibrant kingdom. Unlike the sprawling fields of Rohan, Gondor is a touch more arid, and the villages tend to be built into steep hills and hilltops, being quite vertical and defensible – not to mention beautiful. 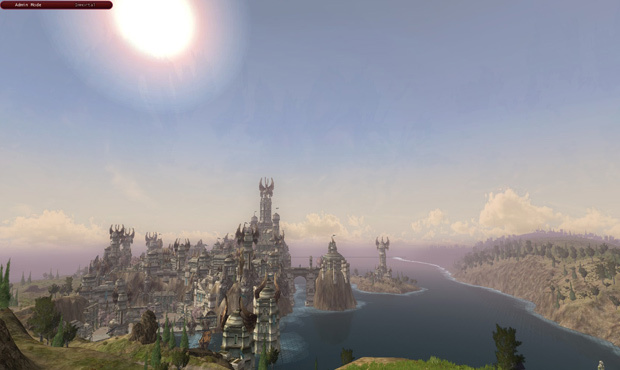 The vistas are phenomenal, and despite LOTRO’s aging engine, they continue to outdo themselves when it comes to capturing a sense of the majestic in their landscapes. Gondor is of course no different, and perhaps their best work yet. There are all sorts of adventures players can get up to in Gondor. 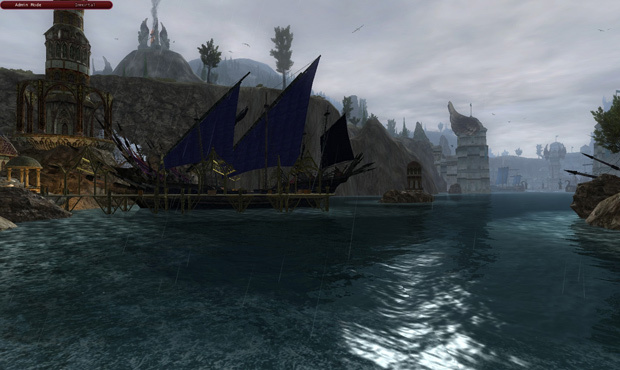 Primarily, the Southron corsairs in the employ of Sauron are taking advantage of the undefended coastline to wreak havoc and make landfall – after the lighting of the beacons, the majority of Gondor’s armies traveled to their capital of Minas Tirith to make a stand against Sauron’s assault. This left much of their land vulnerable, and pirates are of course apt when it comes to exploiting vulnerability. Dealing with these vultures will be the responsibility of players – more unsung heroes to add to the amended annals of Middle Earth’s legacy. Minas Tirith, unfortunately, is not quite here – but it will be soon enough. The story is already nearing its climax and conclusion. I can only wonder what happens once the books have been covered. Of course, this update also has mechanical features as well. With it they’ll be introducing a new item system, one that allows for the swapping and customization of stats on higher level items. This system is called the Essence System, with Essences being the modular aspects of an item that represent its stat spread. This is something players have been wanting for a long time. There will also be a six-player, fully outdoor fellowship area for long-term adventuring in a dynamic instance. Think of it as a more open-world dungeon. 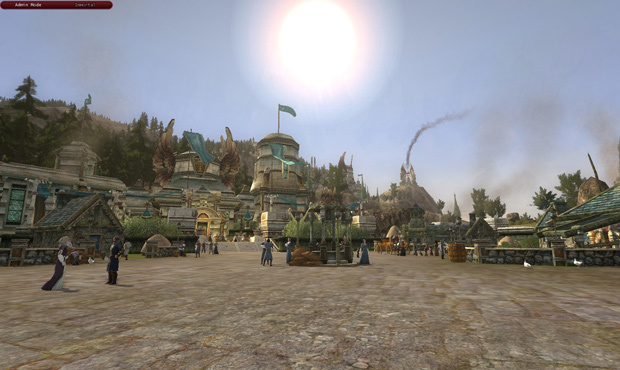 The developers attribute LOTRO’s continued success to the story, the world, the atmosphere, and their dedication to the integrity of Tolkien’s masterpiece. For now, players will have to settle for only a taste of the new Gondor region. Perhaps more will come in Update 15, when Beornings hit the field, and let players turn into bears. That’ll be fun, won’t it? One of the core game features that Arcane Dragons offers its players, a rarity among most mobile games, is real-time co-op and PvP.